Ambition comes in many forms and flavors. Sometimes it licks at our heels when we are running in the direction of our wildest dreams. Sometimes, it coils deep in our stomach, seething in the form of jealousy or comparison. When I am internally aligned with my divine purpose, ambition curves its way deliciously up my backbone, reinforcing my the things that I desire to accomplish with the energy to take one step forward and then another. Ambition is not born in following someone else’s path or someone else’s rules. There are moments when this can be very confusing, especially as you are first setting out. You may ask yourself: But, how do I know if I really want it? How can I weed through all that is expected of me to find what I actually desire out of this situation? Ambition partners happily with the things that lights us up, fueling us with enough bubbly anticipation over the list of delightful and possible outcomes that we can withstand undesirable results or setbacks. Ambition is not a paint-by-the-numbers experience. We may find will power or even discipline there, but the pleasure of charging forth won’t be genuine. We might do something exceptionally well. We might even relish the external validation that we receive for a job well done. But, if we are really honest with ourselves, our heart won’t be in it. I remember living in a world with empty ambition. Objectively, I was doing well. I did the “right” things, putting myself in the “right” places at the “right” time. I had dutifully collected a list of rules about “good” people lived and I wore them like a second skin. I knew what the right answers were… and I performed accordingly. But, it felt like I was moving through someone else’s life. Devoid of vibrance and joy, I told myself: It isn’t supposed to be fun. It’s called work for a reason. Buck up and get through it, so that you can get on to the next task. It took a lot of strength to jump the track from that life to the life that I am currently living, currently creating for myself. I didn’t have a benefactor or a roadmap. I was terrified by the uncharted path that lay before me. All I had was my desire for more and my ambition to live an exceptional life. But this required redefining what “exceptional” meant – for me. 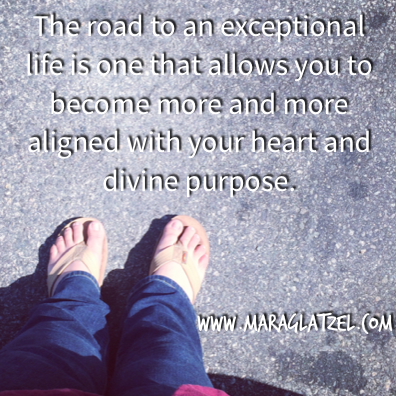 Exceptional had meant: a briefcase, a commute, a stable job that I could count on, a 401K, and benefits. It had also meant marriage, house, and children, in that order. My old definition of exceptional living definitely did not include: striking out on my own after having taken on over a 100K in student debt or moving back in with my father so that I could build my business with little overhead or renegotiating the terms of my marriage so that both my partner and I could both thrive. It did not include determining my success by the amount of time free to travel or luxuriate with a book in the sun or laugh with friends. But, when my ambition for a life that was truly mine partnered up with finding a way to utilize my natural talents in a way that was also financially viable for me, things really started to come together. A life that is truly yours must be filled to the brim with situations and circumstances that are uniquely created for you, by you. It means first knowing yourself well and then allowing that deep knowing to bloom into profound self-trust. It means indulging your wild dreams and desire to redefine things on your own terms. For you, it might mean working for someone else. For me, it doesn’t. But making your daily life your own is crucial no matter where you find yourself. This requires drawing on all that you know to be true about what lights you up to the core and making a concerted effort to make decisions with your heart and your unique spirit in mind. There are things that you are naturally good at and love to do, start there. There are values and beliefs that you hold close to your heart, start there. There are ways of living that allow you to feel nourished and well tended to on a daily basis, start there. Space in my schedule, so that I have time to create the next course or workshop that is calling to me. Enough time that I can cook meals that nourish me, eating sitting down. Ample opportunities to dip into radical self-care on a daily basis. Time to connect with my sweetheart and the energy to prioritize building a life together. Being impeccable with my word, always – even when I need to change my mind. Those are my core tenets. This is how I live my life. These are the conditions that foster and fuel my ambition, because these are the things that inspire me to be a better human being every day that I am on this planet. My work grows from that, organically. My relationships thrive here – including my relationship with myself. These are my self-developed metrics for success, for exceptional living. This is the sweet spot where my ambition is partnered easily with the lightness of my spirit. It is the end-game. The bright shiny part of my spirit urging me forward into undiscovered territory and inspiring me with tantalizing experiments waiting to be born. This is the place where my ambition thrives. 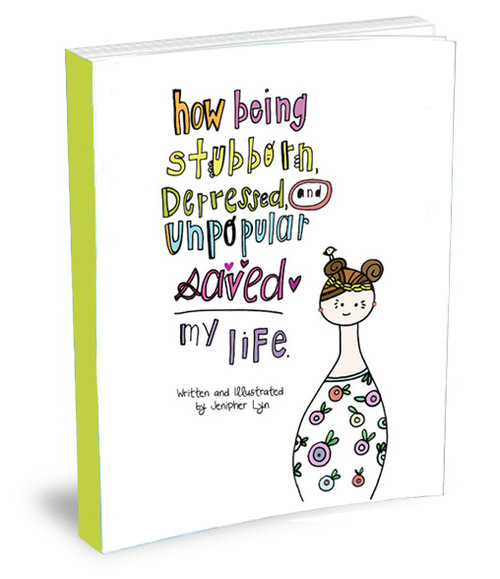 This post is part of the Doodle Dream Blog Party to celebrate Jenipher Lyn’s new book “How Being Stubborn, Depressed and Unpopular SAVED My Life,” an honest and encouraging view on topics such as depression and body image. 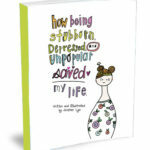 The book explores the many issues that can start in childhood and follow us into adult life.